Originally Submitted to FurAffinity.net on Jul 14th, 2009 11:59 PM. Before it was transferred to Inkbunny it had 84 views and 5 favorites. Quinn - all your meths are belong to me. I wanted soooo badly to title it that. lol! 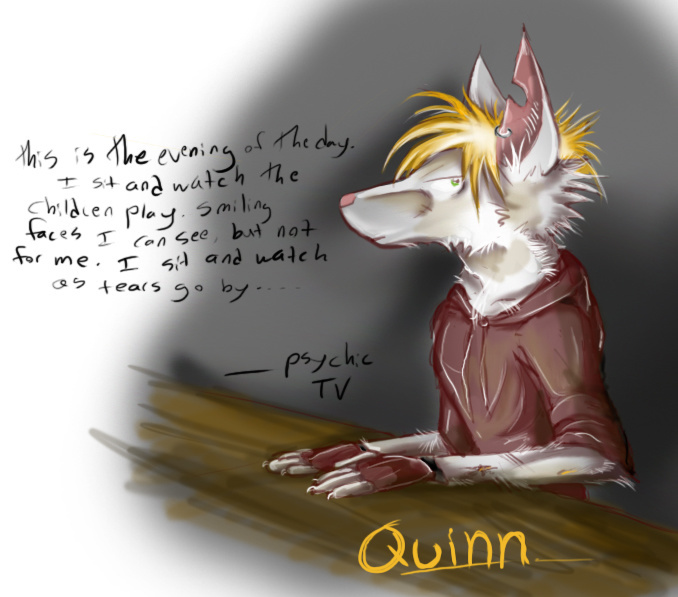 quinn's getting weirder and more insane. and his hair is turning white.